Bahrain (RestaurantNews.com) One of the world’s most beloved restaurant brands – Bennigan’s – opened its second location in the Kingdom of Bahrain on Saturday, Oct. 28, bringing its friendly Irish hospitality, craveable chef-driven food and innovative drinks to the Amwaj Islands. The new Bennigan’s, adjoining the Gulf Suites Hotel Amwaj, will host a grand opening celebration on Nov. 13, featuring signature dishes and handcrafted cocktails. Special guests will be treated to a night of live music featuring the sights and sounds of Ireland. Local dignitaries and executives from the Bahrain Family Leisure Company (BFLC) will be in attendance. 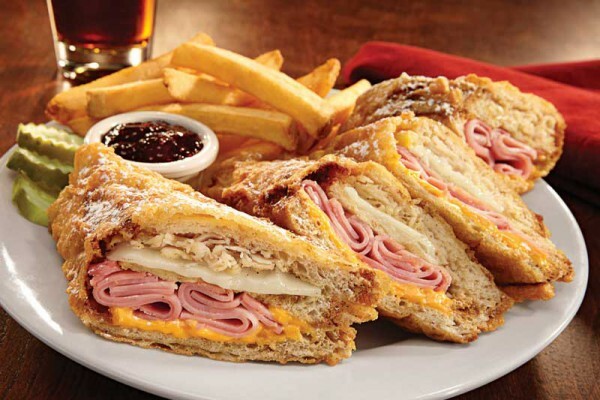 Bennigan’s menu features an extensive selection of signature favorites like the World Famous Monte Cristo and the Big Irish Burger, stacked with two half-pound premium beef patties. Recipes are prepared in-house daily to ensure quality and freshness that guests can expect every time they visit. The beverage menu features a wide assortment of handcrafted drinks such as the Irish Mule and non-alcoholic “mocktails,” including Iced Fruit Teas and Back Porch Lemonades. The new Bahrain restaurant is open daily for breakfast, lunch, dinner and late night from 6 a.m. – 2 a.m. The restaurant includes a beautiful seating area ideal for family-friendly dining, business meals and large group events. Legendary Restaurant Brands owns the iconic Bennigan’s and Steak and Ale brands – the pioneers of casual dining – as well as the fast-casual concept, Bennigan’s On The Fly. Bennigan’s is a high-energy neighborhood restaurant and tavern that is redefining casual dining. With chef-driven food, innovative drinks and warm, friendly Irish hospitality, this Legendary brand delivers memorable dining experiences to every guest and offers a franchise model capable of compelling returns on investment. Steak and Ale is another American Original poised for a triumphant return. Redefined as a 21st Century polished-casual concept, the new Steak and Ale will once again set the standard for affordable, family-friendly steakhouses. For franchising information, visit Bennigans.com or call 855-GOT-BENN. This advertisement does not constitute a franchise offering. Franchise offerings are made by Franchise Disclosure Document only.